I seem to have a thing for chairs. I spotted this one online several weeks back from a second hand website. The make of the chair is Crannac. I spotted it straight way because of its very distinctive design. From 1959 to 1963 a small company in Navan Co. Meath was designing Mid Century Modern furniture of an exceptionally high standard. The company was John Hogg & Co Ltd trading as Crannac Furniture and the man responsible for most of the designs was Arthur Edwards. He went on to design furniture for Gomme Ltd of G Plan fame. 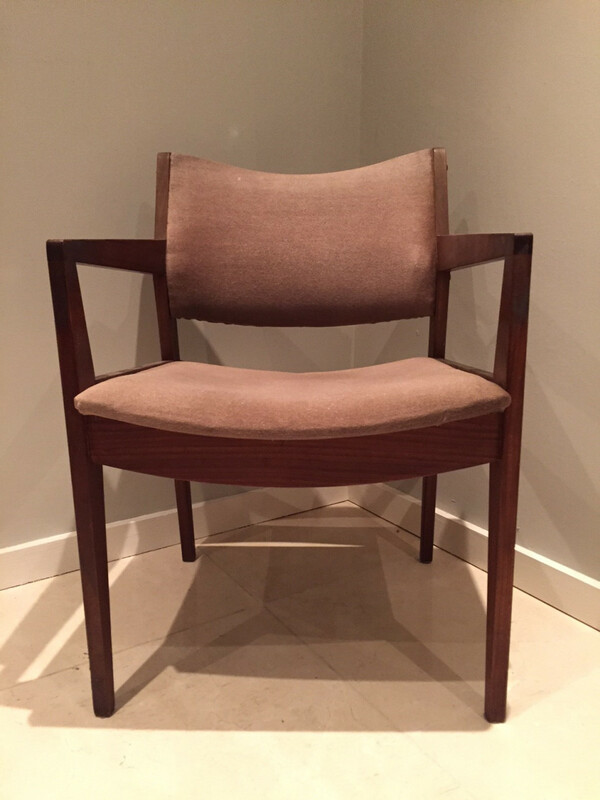 I love the shape and design of this chair, it is so stylish. The upholstery however was not in great shape. This is the Crannac Chair after its makeover. I stripped the old fabric off the seat and the back of the chair. The padding was worn so I replaced it and the covered it with a modern blue colour fabric, which I picked up for about €10. One metre was plenty - I even had some left over to cover a small footstool. I gave the chair a coat of furniture wax and then buffed it up. I think it looks so much better and will be ideal to go in a spare room or study. I already had my staple gun and wax. From start to finish this little makeover took me about 3 hours. 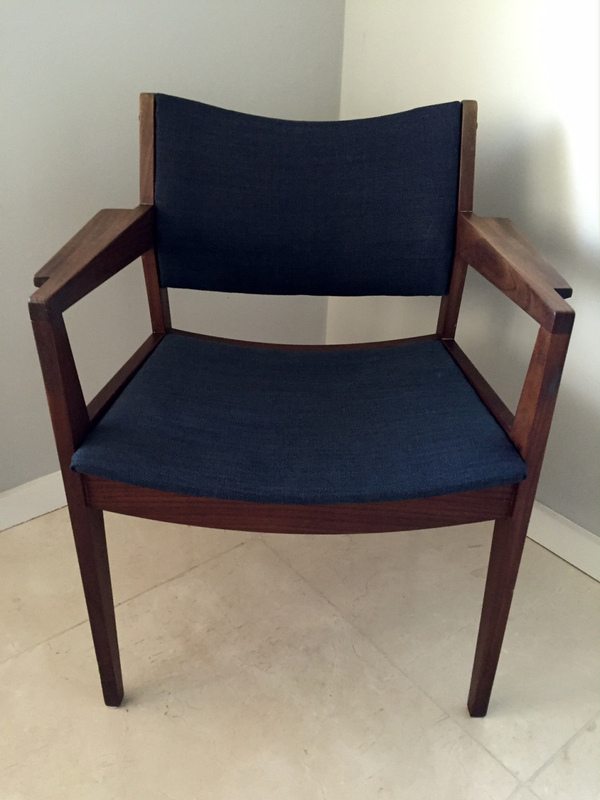 I think it was well worth updating this chair - the shape is beautiful and is really on trend now. wow,such an interesting facts is shared with lot and lot of information thanks for it.